The village of Nuenen is located in the green area in between the cities Eindhoven and Helmond. It is surrounded with lovely forest and green fields. It inspired Vincent van Gogh when he lived and worked here from 1883-1885. His world famous painting “The Potato Eaters” was painted here. Nuenen can be called a true Vincent van Gogh Open air museum. 21 objects are still in place. You can see exactly all buildings and landscapes which have inspired him 125 years ago. You can just walk or cycle to these highlights. Unique in this route is the 600 meter Van Gogh-Roosegaarde cycling path at junction 99. Due to a special developed technology thousands of little stones are charged during daylight and shine during the night. The design is inspired by the world famous van Gogh Painting “Starry Night”. If you want to get in the mood for this lovely piece of art and technology, click here. Vincent van Gogh painted his masterpiece ‘The Potato Eaters‘ in Nuenen and also the mills of “Opwetten and the “Colse”. In between these two windmills lays this special cycle path. Tip: Combine this cycle tour with a visit at the Van Gogh Museum “ Vincentre”. 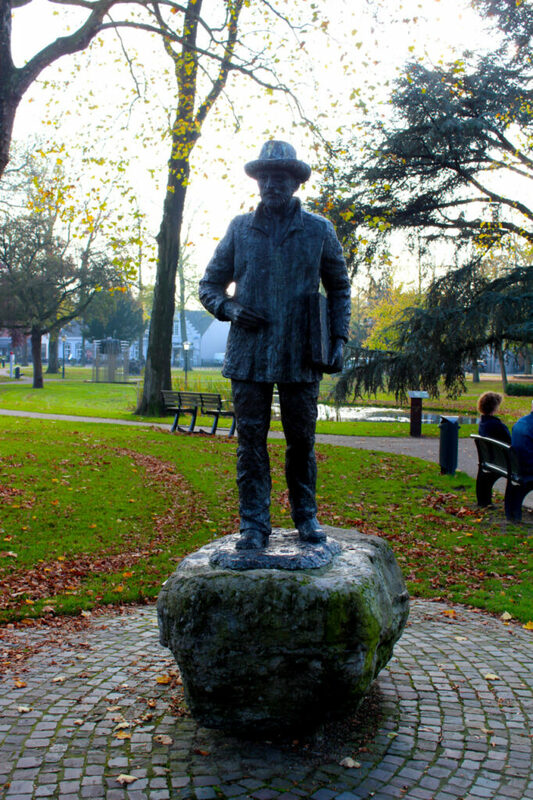 in Nuenen. This route is offered by www.visitbrabant.nl. You may download the digital version of the complete Van Gogh route here.